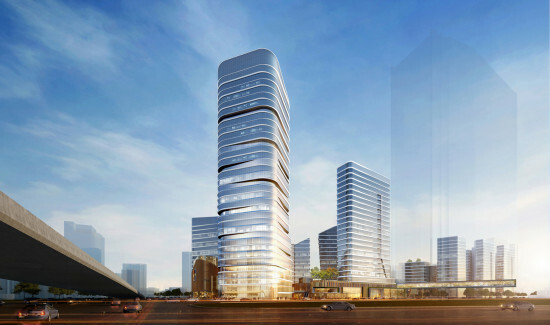 Snøhetta just won the competition for the Shanghai Grand Opera House, set to rise in the Expo Houtan neighborhood of the Chinese city. 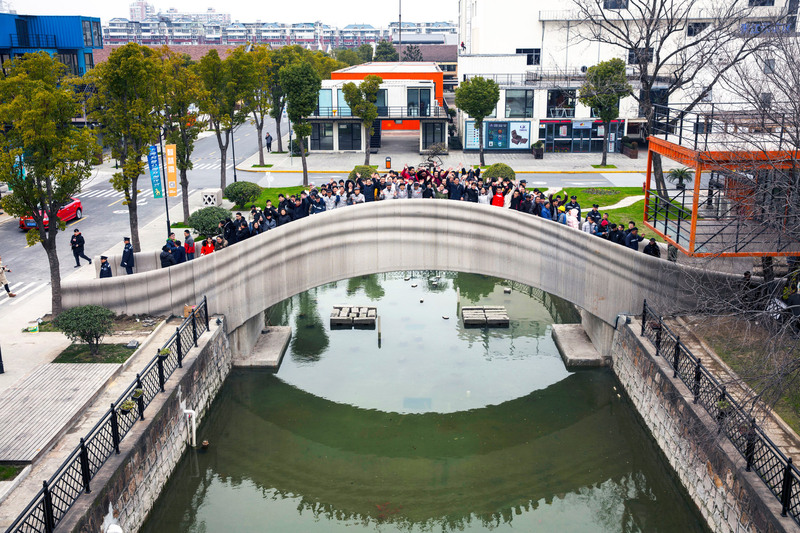 The Oslo and New York–based firm's design centers around a massive corkscrew stair that connects the theater's roof to an entry plaza that then runs down to the banks of the nearby Huangpu River. The grand public plaza and gently-sloped roof are meant to create a generous new public space in the vein of what the firm did for its Oslo Opera House. 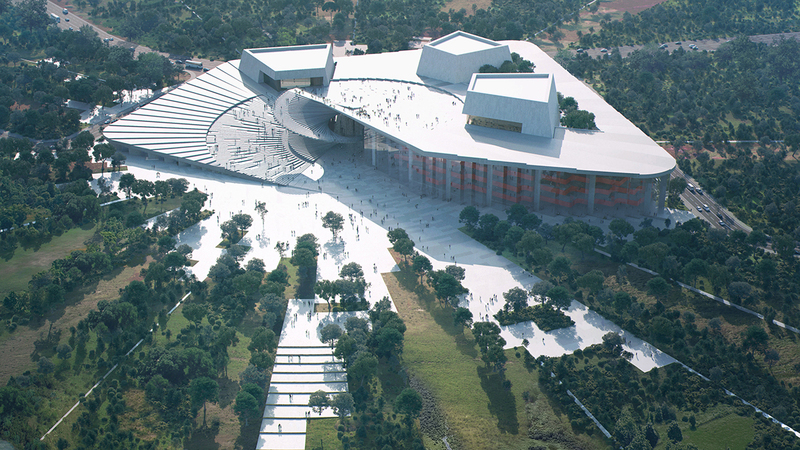 Other aspects of the Shanghai Grand resemble the Oslo project: three theaters pop through the overall roof, and a large glass wall surrounds the main lobby. The new building trades in the Oslo Opera's crisp, sculptural form for a looser, radiating geometry. Interestingly, the designers did not mention the Oslo Opera House as a related project but named several others in the firm's oeuvre. “The Shanghai Grand Opera House is a natural progression of our previous work with designing performing arts centers,” says Snøhetta founder Kjetil Trædal Thorsen in a statement. “It is a culmination of the competence and insight gained through projects such as the Norwegian National Opera and Ballet, the Busan Opera House in South Korea, the Isabel Bader Centre for the Performing Arts in Canada, and the Théâtre Nanterre-Amandiers renovation in Paris. The Shanghai Grand Opera House is a product of our contextual understanding and values, designed to promote public ownership of the building for the people of Shanghai and beyond." Like Oslo, most of the building's exterior is off-white, presumably concrete, but the lobby is lined with bright red silk. There will be three theaters in the building: a 2,000-seat main auditorium, 1,200-seat second stage, and a 1,000-seat third stage. The smaller spaces are meant for less traditional shows to connect with a "younger audience," according to the designers. 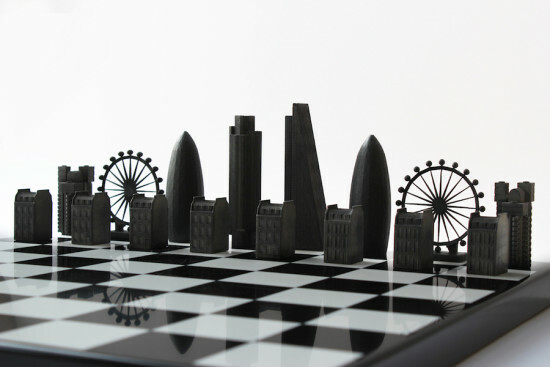 The project will be completed in collaboration with the Shanghai-based firm ECADI. 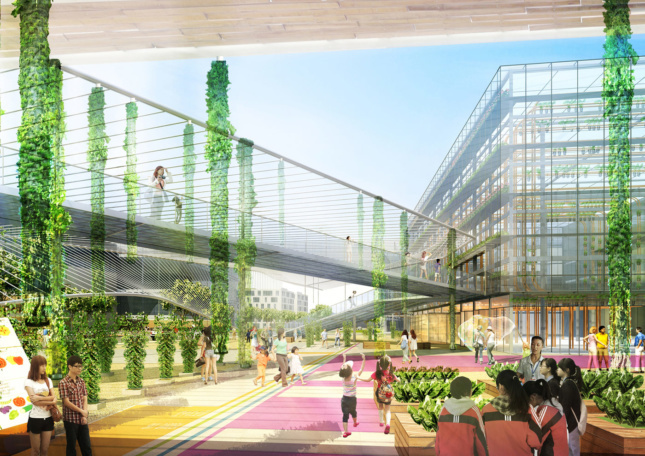 This article was originally published on ArchDaily as "Sasaki Unveils Design for Sunqiao, a 100-Hectare Urban Farming District in Shanghai." With nearly 24 million inhabitants to feed and a decline in the availability and quality of agricultural land, the Chinese megacity of Shanghai is set to realize the Sunqiao Urban Agricultural District, a 100-hectare (247.1-acre) masterplan designed by Watertown, Massachusetts and Shanghai-based firm Sasaki Associates. 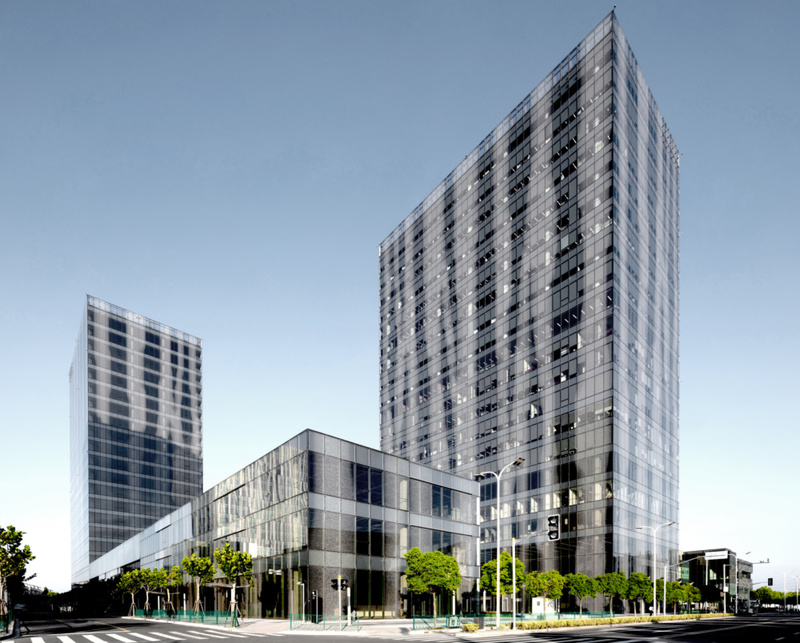 Situated between Shanghai’s main international airport and the city center, Sunqiao will introduce large-scale vertical farming to the city of soaring skyscrapers. While primarily responding to the growing agricultural demand in the region, Sasaki’s vision goes further, using urban farming as a dynamic living laboratory for innovation, interaction, and education. Shanghai is an ideal city for vertical farming. High land prices make building upwards more economically viable than building outwards, while the demand for leafy greens in the typical Shanghainese diet can be met with efficient urban hydroponic and aquaponics systems. Sasaki’s master plan, therefore, deploys a range of urban-friendly farming techniques, such as algae farms, floating greenhouses, green walls, and vertical seed libraries. Sunqiao represents more than a factory for food production, however. Sasaki’s master plan creates a robust public realm, celebrating agriculture as a key component of urban growth. An interactive greenhouse, science museum, aquaponics showcase, and festival market signal an attempt to educate generations of children about where their food comes from. Meanwhile, sky plazas, office towers, and civic greens represent a desire to create a mixed-use, dynamic, active environment far removed from traditional, sprawling, rural farmlands. Sunqiao will not be an alien concept to Shanghai. Whereas western countries depend on large-scale, rural, corporate farming, small-scale agriculture has traditionally dominated Shanghai’s urban landscape. However, the scale of Sasaki’s approved scheme does indicate the increased value placed on China’s agriculture sector. China is the world’s biggest consumer and exporter of agricultural products, with the industry providing 22% of the country’s employment, and 13% of its Gross Domestic Product. The Chinese government is therefore keen to preserve, modernize, and showcase an industry which has helped to significantly reduce poverty rates, and has influenced the growth of the biotech and textile industries. "This approach actively supports a more sustainable food network while increasing the quality of life in the city through a community program of restaurants, markets, a culinary academy, and pick-your-own experience,” explained Sasaki in a press release. 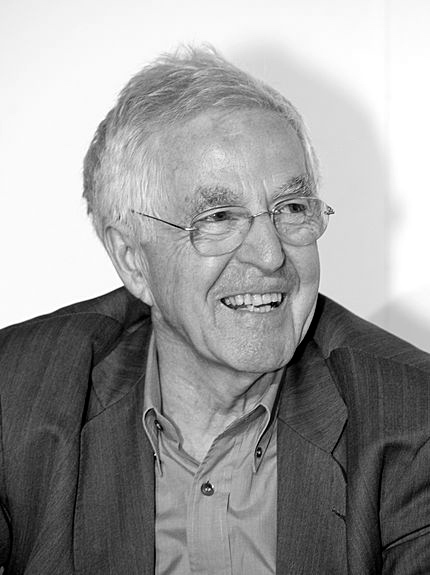 “As cities continue to expand, we must continue to challenge the dichotomy between what is urban and what is rural. Sunqiao seeks to prove that you can have your kale and eat it too.” News via: Sasaki Associates Written by Niall Patrick Walsh. Want more from ArchDaily? Like their Facebook page here. 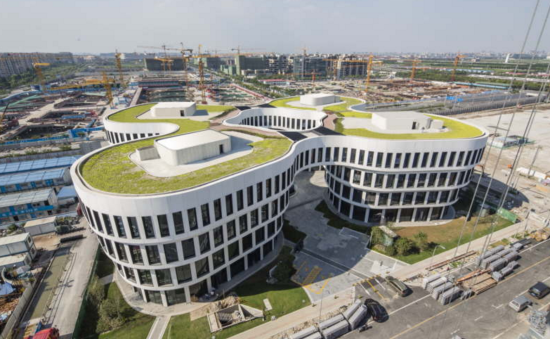 In 2013, Rotterdam-based MVRDV won the competition to design and masterplan the so-called Sustainable Business Park at Shanghai Hongqiao. With the firm's design set to open in early 2016, the first and main structure of the masterplan, the Flower Building, is now complete. MVRDV designed the Flower Building to have both strong formal identity and rental flexibility. Due to its programmatic adaptability and environmental aspects, the Flower Building is set to receive the 3-star Green Building Label, the highest energy performance rating in China. The project was developed by Sincere Property Group. The master plan will also include nine other MVRDV office buildings and one Aedas underground shopping center, that, together, will total 1.2 million square feet of offices, 506,000 square feet of retail space, and 590,000 square feet of parking. The Sustainable Business Park is adjacent to a high speed train station and Shanghai Hongqiao, the fourth busiest airport in mainland China. Originally dominated by boulevards and expressways, the complex is scaling down to embrace the pedestrian with walking streets and plazas, some meandering through the Flower Building itself. 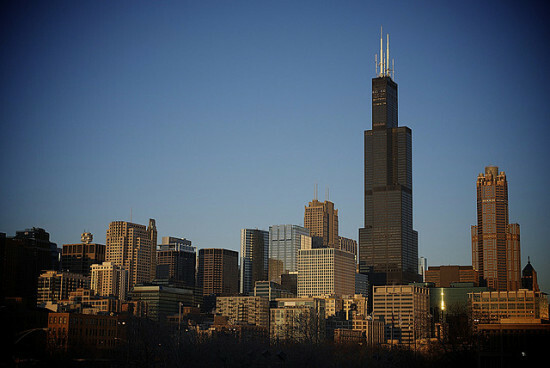 Four "legs" merge as they rise to form a single building topped with plazas and pathways. The ground floor consists of retail, and the top floor is connected, fitting either one or multiple tenants. The exterior facade consists of insulated paneling arranged in a shifting grid, creating a transparent ground level that becomes more opaque as the building rises. This contraction in the facade at the upper levels, along with the self-shading, cantilevered form, reduces the need for air-conditioning, according to MVRDV. 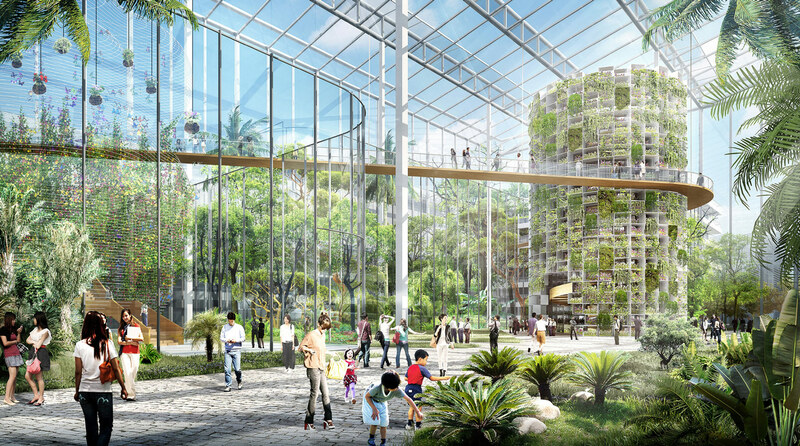 All ten MVRDV buildings will have green roofs meant to create habitat for local species. With this environmental sensitivity, along with proximity to public transportation, rainwater collection, and permeable road surfaces, the entire Sustainable Business Park will receive 3 stars for the Chinese Green Building Label. The acclaimed architectural firm that once decked the walls of a Tokyo Yakitori bar with LAN cables recently completed designs for the latest retail outlet of Shang Xia, a Chinese culture–inspired offshoot of the renowned Hérmes fashion brand. Touted as “a space combining retail, culture and the arts,” the Shanghai-based space is an expanse of natural wood and sandstone housed in an unassuming red-brick French villa. The interior walls sport a plastic-meets-cloth veneer that has been tri-axially folded into honeycomb-like indentations. Heat-treated and shaped in Japan, the material has the shape-memory texture and strength of plastic and the softness of natural cloth. Founded by designer Jiang Qiong Er, the brand is dedicated to the art of living as embodied by Chinese heritage and craftsmanship, retailing fine decorative objects, sculptural furniture, luxurious garments and rare accessories. 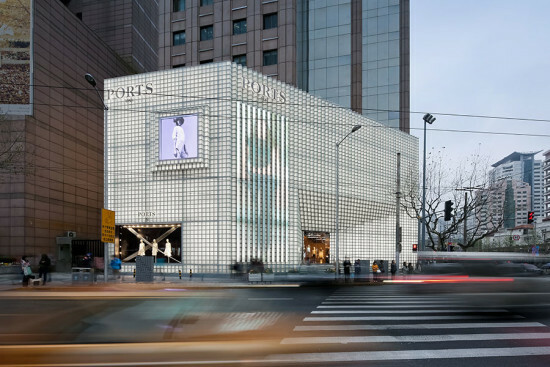 Guided by a 21st-century Asian aesthetic, the elegant, 1,356-square-foot retail space is fronted by a pixelated all-glass veneer facing the thrumming streets of Xintiandi, near Shanghai’s commercial center. 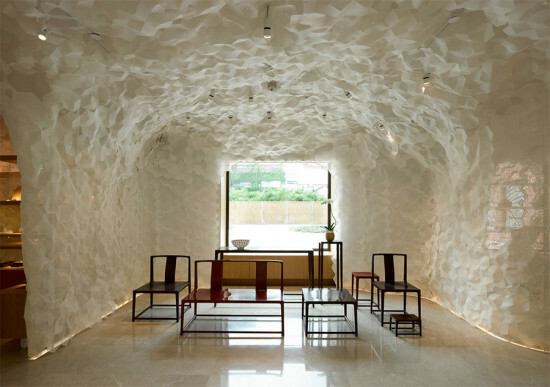 The work of famed Japanese architect Kengo Kuma, the outlet includes exhibition space for arts and culture. The architect also previously designed Shiang Xia’s outlets in Beijing and Paris, the latter resplendent with a lattice of over 10,000 glistening tiles extending into a layered ceiling installation. Meanwhile, the Beijing store contained latticed partitions of extended aluminium, which evoked a brickwork skeleton.